I am in week 2 of a Learning in the Digital Age course at the University of Birmingham. Writing blog posts is part of the assignment and this is the first of four posts which I will be sharing on here. The course is cleverly designed so that we experience what it is like firsthand to be a learner in the digital age. Today we discussed Flipped Learning and in this blog post I’m going to reflect on why this topic is important and what I found most interesting about flipped learning. Let’s start with a definition from the book Flipped Learning (Talbot): “Flipped learning is a pedagogical approach in which first contact with new concepts moves from the group learning space to the individual learning space in the form of a structured activity …. and the resulting group space is transformed into a dynamic, interactive learning environment where the educator guides students as they apply concepts and engage creatively in the subject matter”. We experienced the above in the session by completing our own mini research project and creating a Canvas e-learning resource in a 30-minute activity. This was engaging for me as a learner and in a short space of time I gained an insight in to the topic we were assigned “self-regulated learning”. I reflected on the impact of this and how the learning was enhanced through “doing” rather than the lecturer simply disseminating the information. I’m inspired as a result of the session to do some more reading on the topic of flipped learning and will look again at a book sitting on my shelf called “Who owns the learning” (Alan November). The book provides ideas and techniques to help students own and direct their learning. I work with students to help them plan for their future career and will reflect on insights shared by Danielle, our course leader, about how self-regulated learning enables students to develop the life and career skills for an agile and adaptable approach required in the workplace. Our main assignment for the course is to design a resource or learning activity integrating appropriate learning technologies. With this in mind I’m building a list of tools and techniques including the tool used in week one: http://www.menti.com. “Lucy Mair will be facilitating a highly interactive CPD session with opportunities to gain insights, as well as to apply and share learning. Lucy has a background in providing leadership development for key talented Senior Managers and Directors within a global leadership development programme in the corporate sector since 2001. Qualifying as an Executive Coach with the OCM in 2012, working with a diverse portfolio of Senior Managers, Directors and Partners to enable career transition, improved performance, deeper self-knowledge and an ongoing curiosity for development. Coaching approach inspired by the philosophy of Dieter Rams (‘wenniger aber besser’ – Less but better). Explorative of the client’s broader environment and personal context or system: as minimal as possible: helping clients concentrate on essential issues, energy and cut through non-essentials or distractions. Coaching from a place of simplicity through an open conversation, providing the client with time and space to think”. The photo was taken when I took a walk one lunch time to recharge and build my resilience to tackle a busy afternoon at work. This resilience was needed later in the week to plan for a replacement session for the March Coaching Connections meeting on the topic of Resilience and Teams. We designed a format which drew on the collective knowledge and wisdom in the room. Frances Hayes introduced the session and invited participants to join small discussion groups, each focussed on a specific aspect of resilience. The space felt buzzing with ideas and reflection and I had the joy of participating in really deep and meaningful conversations. 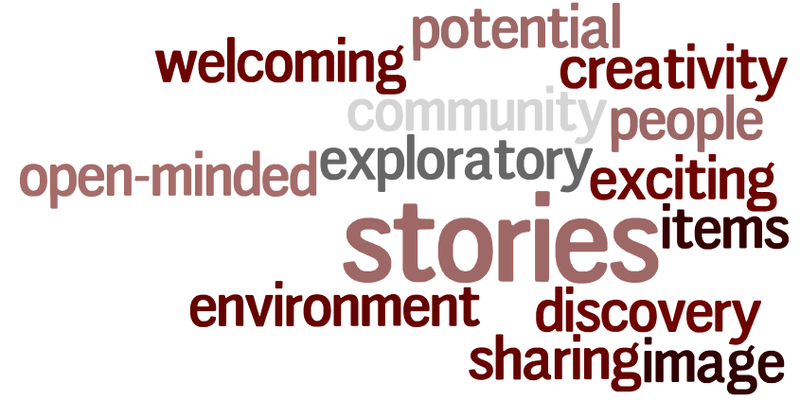 This comment by one of the participants sums up what emerged from our experiential session and this blog summarises some of key discussion themes and resources referenced during the plenary at the end of the session. Nicky Lowe facilitated a group which discussed the four energies of the corporate athlete. These energies are physical, emotional, mental and spiritual and are referenced in the work of Tony Schwartz. Taking time out to recover was one of the key points shared and it sounded like the group had explored in particular the theme of spiritual energy and purpose. This Harvard Business Review Article has a useful visual of the High Performance pyramid detailing the four energies. We are delighted that Nicky will be leading a session on “Insights into Systemic Coaching” at our August meeting, further details will be on our Coaching Connections website soon. Sean Russell facilitated a group which looked at growth mindset as part of a broader discussion on the topic of resilience. The work of Carol Dweck was introduced, her book “Mindset” explores the idea that we can grow our brain’s capacity to learn and to solve problems. “How the way we think shapes our success”. Carol’s TED talk is another way to find out about her work. I facilitated a discussion starting with a reflection on “what is resilience?” We then explored how a strengths-based approach can help us to build our resilience. We used “At My Best” cards to reflect on a personal success and to articulate strengths. Throughout our discussion we made links between strengths and resilience and how we use strengths in our work with clients. “What strength shall I use in my work today” and “taking time out to reflect” were two of the practical tips emerging from the discussion. You can find out more about “At My Best” cards at the Work Positive website. Frances Hayes did an excellent job of setting up the session overall and also facilitating a small group discussion which drew upon personal and professional development building resilience and how that impacts when working in teams. And finally, Lucy Mair shared details of a book about resilience by Dr Carole Pemberton. 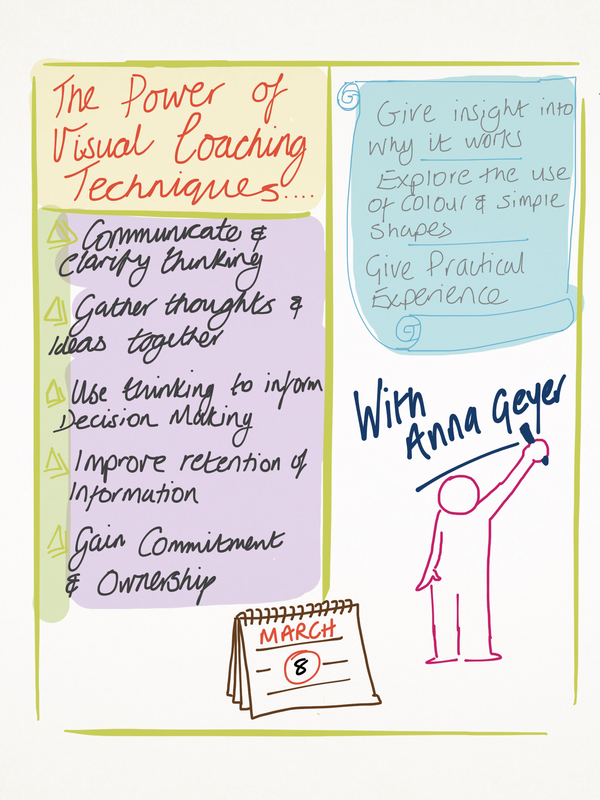 She also shared information about the session which she will be facilitating at Coaching Connections on 14 May, when she will be talking about how she found her coaching “voice”, more information will appear on the website soon. Next month on 9th April Lesley Matile will be leading a session on Giving and Receiving Feedback in Coaching. Whether you were at the session on Saturday or you are reading this to catch up with what you missed – I hope you found this a useful summary – let me know your thoughts and reflections. At the session “Peer Coaching and Facilitating Groups” at Coaching Connections on 11 July we explored coaching as a leadership practice and here are some of the quotes and theories referenced during the session. The coaching style is also one of six basic leadership styles referred to in Leadership that gets results by Daniel Goleman “The coaching style focuses more on personal development than on immediate work-related tasks. It works well when employees are already aware of their weaknesses and want to improve, but not when they are resistant to changing their ways”. We also referenced House’s Path-Goal Theory in which the leader helps clarify the “path” to the worker’s goal , and it is interesting for coaches to reflect on the regularity in which a reference to goals appears in leadership theory and literature. All classified as “soft” rather than rational tactics. I believe that as well as employing and working with a professional, external coach we can gain great benefit from integrating coaching skills in to our everyday working lives. In this article I have referenced an approach to embedding peer coaching in to a learning environment, and aim to run future training sessions on this for experienced coaches. If you are interested to find out more please email me: jayne@js-coaching.co.uk. Future blog posts will develop the theme of peer coaching further and also consider self coaching and the manager as coach. I recently published a guest blog for the new Professional Development Network website for Birmingham Institute of Art and Design. The website is a place where researchers can share content about the professional development projects they are taking part in, including the Knowledge Exchange in Design project. In my blog I look back to how over the last year we have shared content about Knowledge Exchange in Design in words, film and pictures. It’s great working with the artists at BIAD, because the visual is always integrated in to the work we are doing and I’ve really become to appreciate the power of using words in an interesting way, and going beyond this by including pictures and film. To see the blog go to: http://biadpdn.com/2014/02/21/ked-in-words-film-and-pictures-by-jayne-sharples-2/. My next blog will be about a workshop I am developing in which I’ll use the visual of stairs to illustrate a step by step approach to career development, and an open door to describe the application process and step in to a new job. No blog posts in October, and now two in one day! 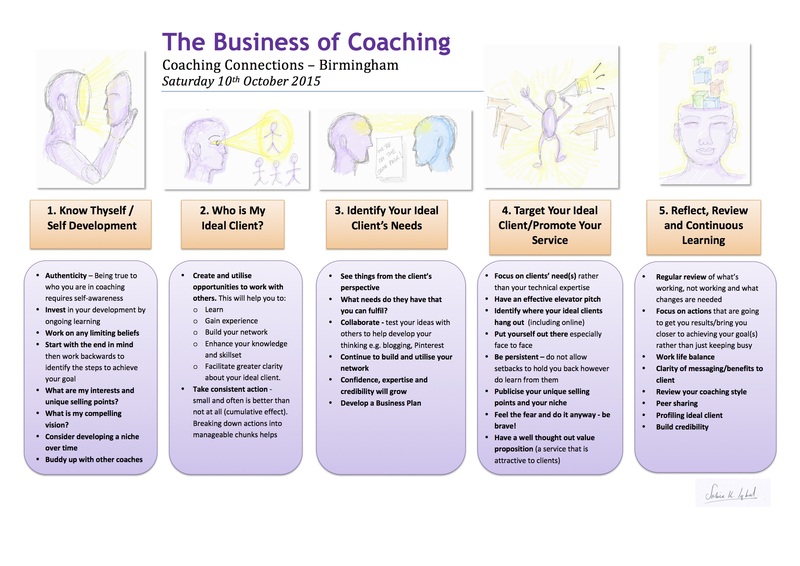 I wanted to get this post written to follow up on a great session we enjoyed at Coaching Connections in Birmingham last Saturday. I love writing blog posts which are related to a training session or presentation which I am either delivering or attending as a participant. It helps the reflection process and learning and the bonus is that you can share your thinking with others. So hope that you like this short reflection on the Coaching Connections session “The benefits of Group Coaching” delivered by Maureen Moore and Cheryl Goldenberg from the Pickleshed. Those of you who came to the Coaching Connections August session on Authenticity will know that I use my own group coaching model called “CEFAR”, which stands for five stages of a process – Clarity, Engagement or Exploration, Feedback, Action and Review. This process provides a framework and a structure which I use when designing workshops with a coaching style of delivery. So, I have long been convinced of the benefits of group coaching and what I wanted to gain over and above this from the Pickleshed workshop was an insight in to how others work. I wasn’t disappointed. In the workshop we had a useful discussion about the similarities and differences between group coaching and individual coaching. It was great to gain some clarity around the benefits of working in a group and how this can in some instances enhance the learning and capacity for change beyond what is possible in a one-to-one coaching session. The real value of the Pickleshed session came from the opportunity to try out some techniques which we can use in group coaching situations. First of all we were introduced to laser speak. This is the ability to put forward a point or share information in a group coaching session without story telling or long explanations. Sometimes it is important for the coachee to have the space to talk without restriction, but in group coaching the laser technique seems a great way to ensure the needs of the group as well as the individual are met. For more about laser speak you can refer to the book “Group Coaching, a Comprehensive Blueprint” by Ginger Cockenham. OK, we only had 20 minutes in which to do this activity, so we only scratched the surface of what is possible in a group situation, but even in that short space of time progress was made. It was impactful for many of us. It is great to hear from the Pickleshed facilitators that when working with their coaching group members over a number of sessions that the members develop coaching skills and become coaches themselves. The Pickleshed groups work because there is an element of commonality, with the participants all being women and all wanting to make a change in their lives. So, the session has encouraged me to carry on designing and delivering workshops and training courses with a coaching approach at the heart and to see that by including follow up group coaching sessions after a training course this can really help participants maintain momentum and take action. It is encouraging to see how Maureen and Cheryl have worked together to create the Pickleshed with professional branding and a business model which seems to be working for them and their clients. To find out more about the Pickleshed go to: http://www.thepickleshed.co.uk. I’ve just added another story to the Portfolio Career Stories page, this time about Katie Barnett who has recently graduated with a PhD from the University of Birmingham. Katie is developing her career by building up a portfolio of work in line with her skills, interests and ambitions. When reading Katie’s story I was struck by how effectively Katie has used the website about.me to create a personal home page for herself. You can see in an instance her key areas of expertise: Researcher, Writer, Lecturer. You can read Katie’s “about.me” profile here: http://about.me/katie.barnett and her career story if you click on the Portfolio Career Stories tab on this site. Seeing Katie’s about.me profile has got me thinking about how we can best create an effective online profile. Do we choose just one channel for example a LinkedIn profile or an about.me page, or do we need multiple ways to communicate our key messages? I guess as with all marketing strategies it starts with a clear idea of what you want to achieve and who your target audience is. Whether you go for an organic way of building up a profile as you go along, or whether you have a well-thought out strategy at the outset – one thing is for sure, the opportunity to use online profiles to help develop our careers is big. Just relying on a CV and traditional ways of seeking out and applying for jobs or building a portfolio and freelance career will without doubt limit your options. If you’ve got examples to share about how you’ve created an online professional profile and what’s working well, do share your ideas and comments with us.